Since taking up running and participating in a few fun runs, nerves have not been something that have really not played a part at all. Compared with my sporting endeavours from years gone by they could be considered almost non-existent. 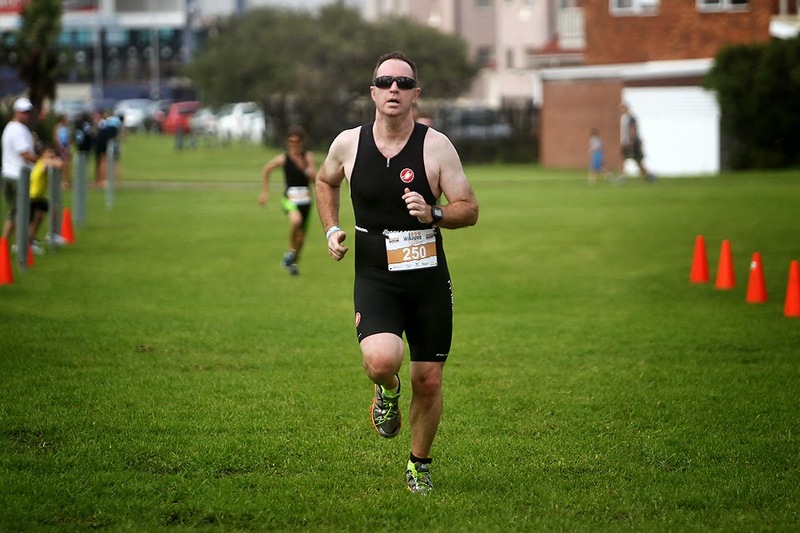 Going into my first triathlon was a completely different kettle of fish in that department. I am not sure what initiated it but can only assume it was a combination of a venturing into the unknown and a little bit of fear of failure. Simplifying it, I really had no need to worry, I could swim, I could ride a bike and I could run. Maybe I'd pictured myself running out of transition with my helmet still on too many times. There was zero expectation on myself in the event for a couple of reasons. The fact that I had only trained for a week and also not really knowing how I should be performing meant it was more about finishing and doing as well as I could. When it came to the day, it was a drizzly morning, nice cool conditions possibly barring a slippery road. A few pre-race mishaps ensured that my nerves stayed with me. Firstly I had made a slight error on the entry form and entered myself as a female. After a few jokes and a quick filling out of new paperwork that was rectified. I had set up in a prime position for transition after we were directed to our row. A late change from the organisers saw the group of us that had gone to the trouble of getting there early shifted to another row just before start time. It wasn't a big inconvenience but enough to keep me on edge. 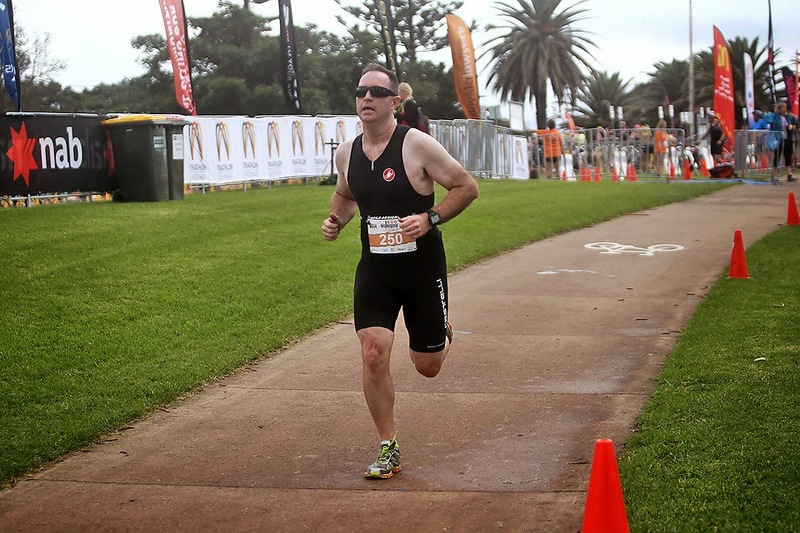 In the lead up, I was probably most concerned about my swim leg. In hindsight, it is not as bad as I thought and, with a bit of work, could actually be one of my better legs. I was away mid pack and covered the 300m in 6:30 which is about what I'd been swimming in practice. The refreshing part was that I managed to stay out of traffic for the most part and that was the part I had been dreading most. I felt like the last 100m of my swim was my best and I will definitely be looking to go a bit harder next time. I finished 6/12 in my age category for the swim which is better than I thought I could do. My debut transition went smoothly. I had practiced a few times the night before with the help of my partner which meant it had become a little bit habitual, that was a great help. After taking a little while to clip in and get going, I enjoyed the ride on the bike. Having not ridden for a long time it is something I am relishing at the moment. Despite riding as well as could be expected, I have realised that it is a facet that I really need to work on, particularly my climbing. The course was a short loop which we completed four laps of to total our 7km. It had one short rise which was where I lost most ground. Despite averaging almost 30km/hr, I finished 9/12 in my age on the bike and I suspect that it is where I lost most ground. 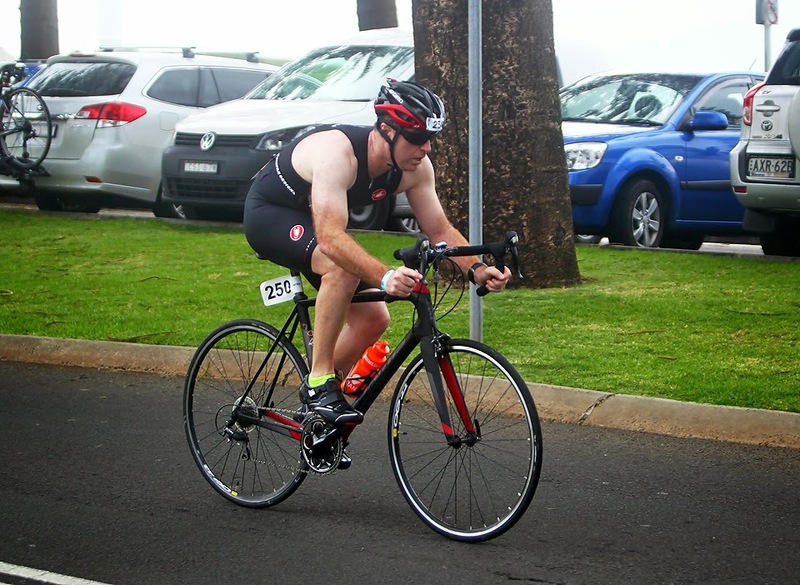 My second transition also went smooth and I found that running in with the bike helped loosen the legs for the brick run. As expected, my legs felt like a pair of anvils as I tried to carve out a good 2km to finish it off. I thought I was running 7:30/km, dragging those buckets of lactic acid along. Luckily, it was a misconception and I managed to break 10 minutes for the run and finish 4/12 in my category. A pace of 4:58 was as good as I could of hoped for but also another thing that I would like to improve next time. I was pleased to have finished, the final time was 34:41. 65th of 130 overall and 9/12 in my category, which again highlights the importance of the bike given that I finished much higher in the other two disciplines. 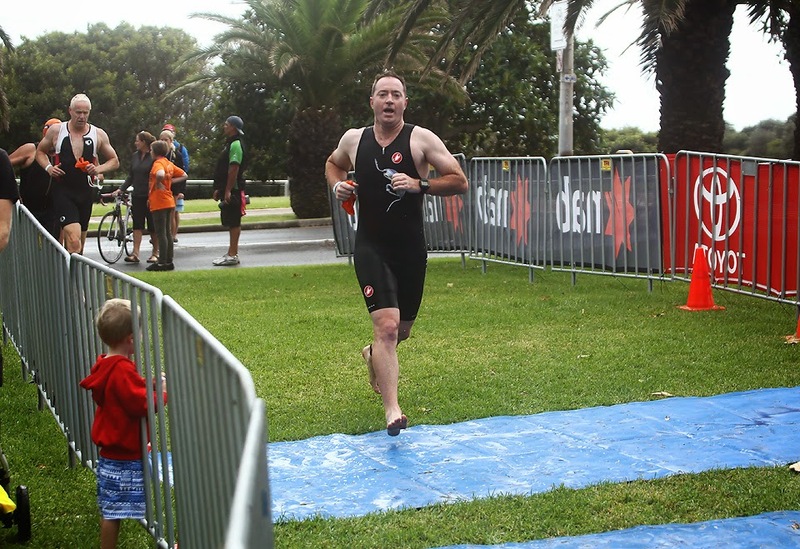 I knew straight away that I wanted to do another one and set about entering a similar length race at the Challenge Bateman’s Bay event on the 28th of March. ﻿﻿The test with that will be an increased bike leg (10km) while the others stay at the same distance. While I will keep running at the core of my training, I will cram as much cycling and swimming into my program as I can. It is an exciting sport and, with so much to learn, I am loving it. I'm already looking forward to the next challenge. Running - 11.2km in 1:04 with an elevation of 92m. Cycling - 124.3km in 5:58 with an elevation of 1,029m.